Ten or twenty years ago, creating your own world and sending Disney characters on journeys consisted of opening up your toy chest and using your imagination. Now the company is ready to sell you a digital world and $15 hunks of plastic that will do three-quarters of the work for you. Disney Infinity Toy Box 3.0 is the third iteration in a series that lets you create your own games using characters from various franchises, but this release marks the first time that players can toss in elements from the Star Wars universe. Welcome to the family, Obi-Wan. Have a seat next to Captain America and Venom. They're still getting used to hanging out with Mickey Mouse as well. 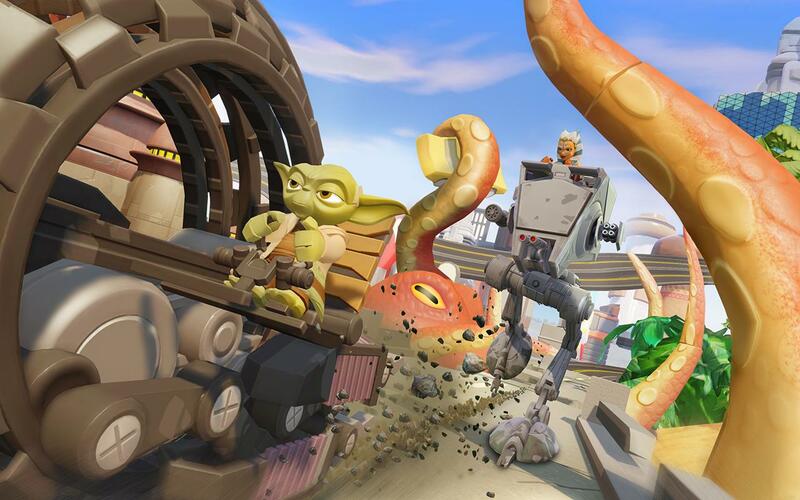 The Android version of Toy Box 3.0 isn't a direct port of its console brethren. Like the previous release, you can't import new characters directly using a mobile reader. You have to enter the character code manually or scan characters into a PC or console beforehand. 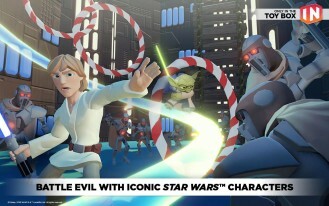 It does contain the new Toy Box Hub, which aims to help players learn how to the use the game's mechanics to construct their own experiences. The game is free to download, but it comes with in-app purchases. 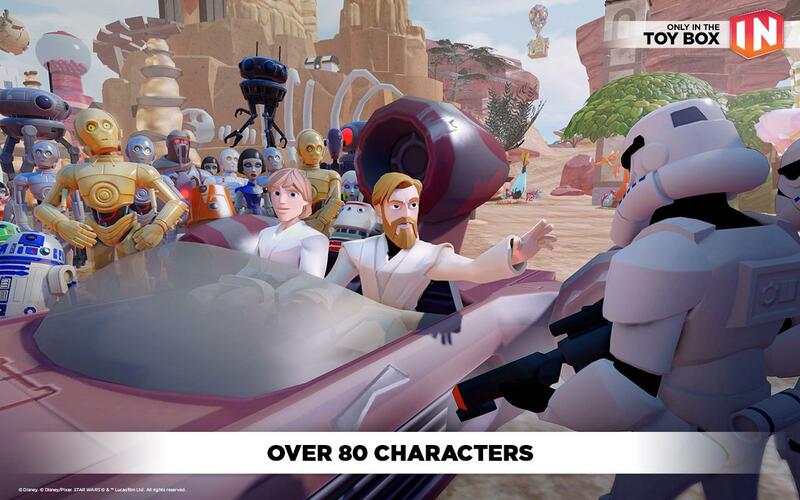 And, of course, Disney is really expecting to make its money from you buying toys. But each week you do get to try three characters for free, and they rotate to give you a reason to keep coming back. Or you can log in to your Disney account to bring back all the characters you had from the prior versions of the app.